Admittedly I don’t own the Mini 7s but reading the specifications and watching a few official product videos has given me a pretty good idea of where the differences lie. If I’ve missed any, don’t hesitate to leave a comment below! 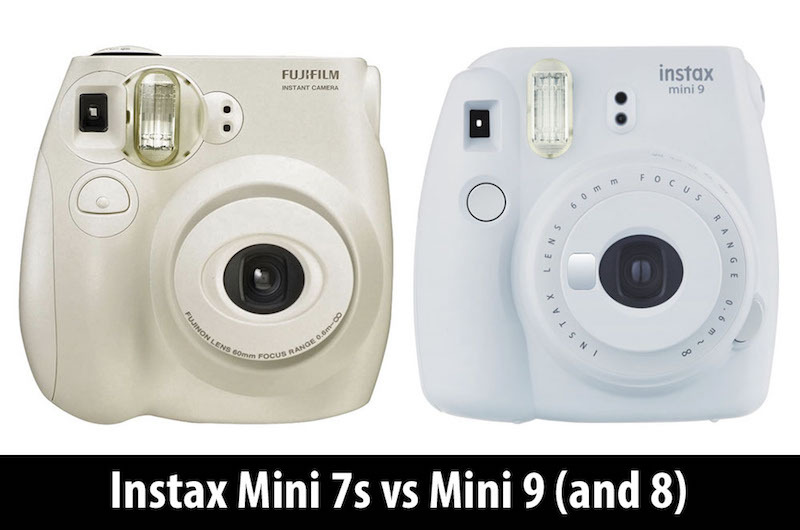 Note: these differences are also valid for the Instax Mini 8 since the 8 and 9 models are basically identical. I’ll be sure to mention the former throughout the article where relevant! Ethics statement: We bought the Mini 8 and 9 for our personal use. All information about the 7s is based on official specifications and videos. Within the article, there are affiliate links. If you buy something after clicking the link, we will receive a small commission. To know more about our ethics, you can visit our full disclosure page. Thank you! One difference is the number of AA batteries required to power the camera. 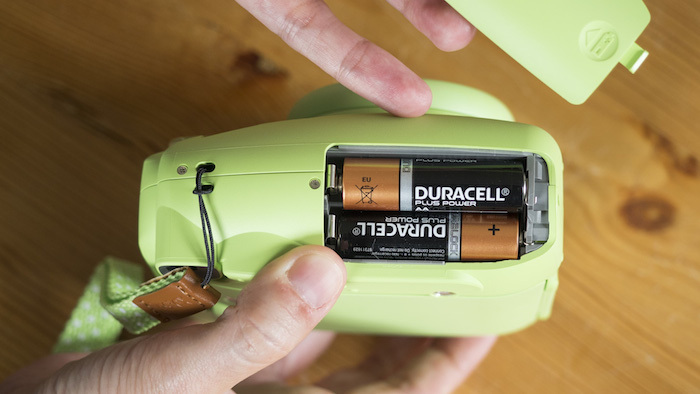 Whereas the Mini 9 (and 8) only need two AA batteries to work, the older 7s requires four. That said, the Mini 7s can take approximately 200 shots (20 packs) before the batteries have to be replaced, whereas the Mini 8/9 can only manage half that (10 packs). So, in the end, the amount of money you spend on replacing the batteries is more or less the same. 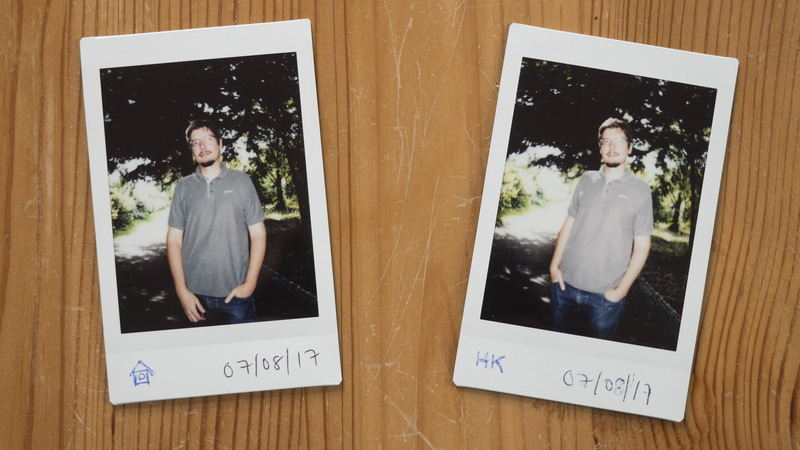 The Mini 7s, 8 and 9 all feature a brightness adjustment dial to change the exposure but their location differs. The 7s’ is found on the top part of the camera beside the film ejection slot, whereas on the 8 and 9, it is wrapped around the lens. In the case of the 8 and 9, the camera will automatically suggests the best brightness setting by reading the ambient light conditions. It does this by illuminating the bulb next to the ideal setting. All you have to do is rotate the dial until the indented dot and the illuminated bulb are aligned (see image below). The 7s makes life a little more difficult in that it doesn’t actually suggest a setting. This means that it’s up to you to guess the intensity of the ambient light and pick the correct setting accordingly. So, if it is a cloudy day for example, you can usually assume that Cloudy is going to be the ideal choice. To choose a brightness setting, simply turn the dial until the setting you want is aligned with the green light. Note that before the green light comes on, the dial will flash red three times. The Mini 7s doesn’t come with a Hi Key mode, so you are limited to using the Indoor setting in low light situations. To turn the Mini 7s, 8 or 9 on, it is necessary to pop the lens out of the body. In the case of the 7s, you simply grab either side of the lens and pull it out. On the 8 and 9, there is a button beside the lens that you have to press to eject it. The method to turn the camera off is the same on all three cameras: simply push the lens back into the body. A smaller difference between these models is the size and weight. As you can see, the Mini 7s is slightly larger and heavier than the 8/9, probably because it has to make more room for the extra batteries. You won’t notice the difference when you’re out and about using the camera however. Finally we come to the difference that is most likely to affect your decision: the colour and design. The Mini 8 and 9 come in a wide array of colours – so many, in fact, that it is almost impossible to list them all. 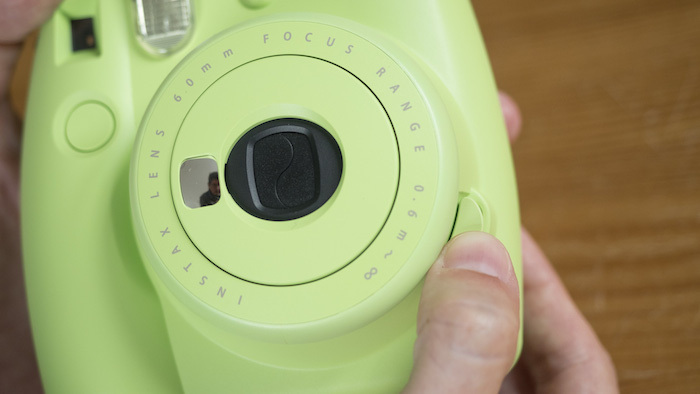 In addition to the official colours (Mini 8 / Mini 9), there are also a number of special edition colours sold by specific brands such as Amazon, Michaels or Urban Outfitters, as well as funky designs such as the Minion Instax Mini 8 camera. Some are widely available whereas others have been discontinued, making them harder to find. The Mini 7s comes in five official variations – white, brown, pink/white, blue/white and panda – but I’ve also come across some limited edition models like Garfield, Mickey Mouse, Hello Kitty, Rilakkuma, and Winnie the Pooh. You can sometimes find blue, light blue, red and green models on eBay too. That said, if you come across a Mini 7s with a design you really like, there’s no reason you shouldn’t go for it. After all, it’s identical to the 8 / 9 in all the ways that really count, and because it is an older model, it might cost you a bit less. 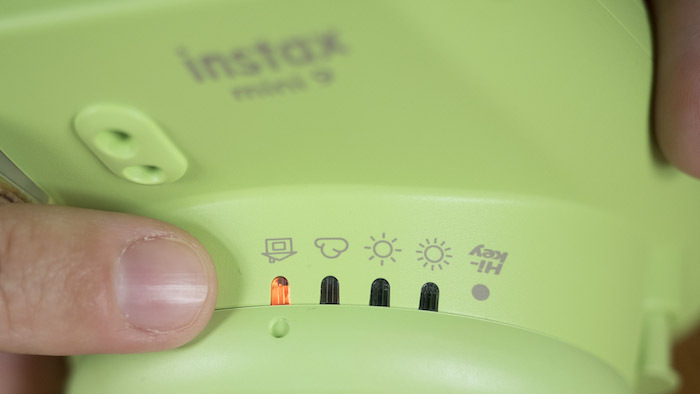 Previous Post: « How Big Are Instax Mini Photos?